Smart, this car 3 in 1, which hides 3 cars. 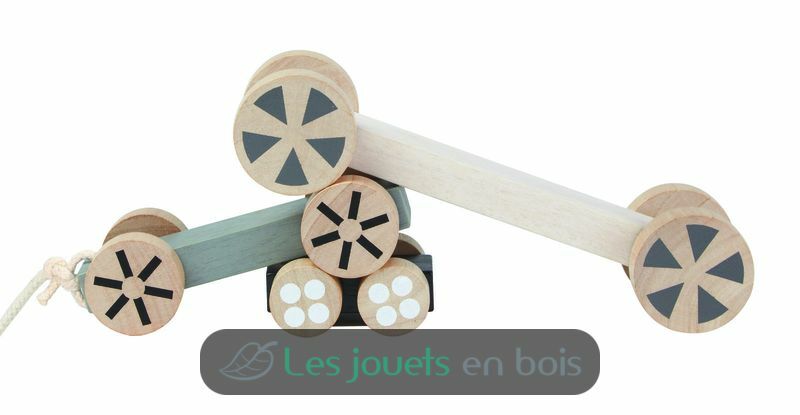 This set includes 3 cars with different sizes that kids can stack in many ways. 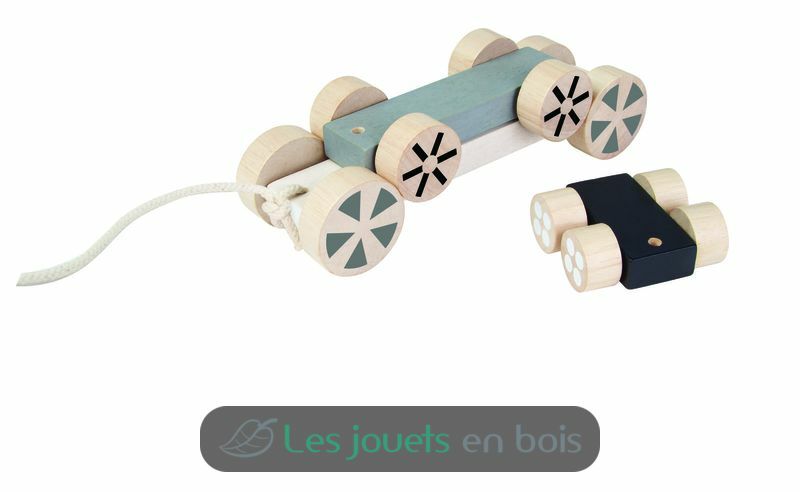 And the biggest even has a rope that allows the child to pull behind him! 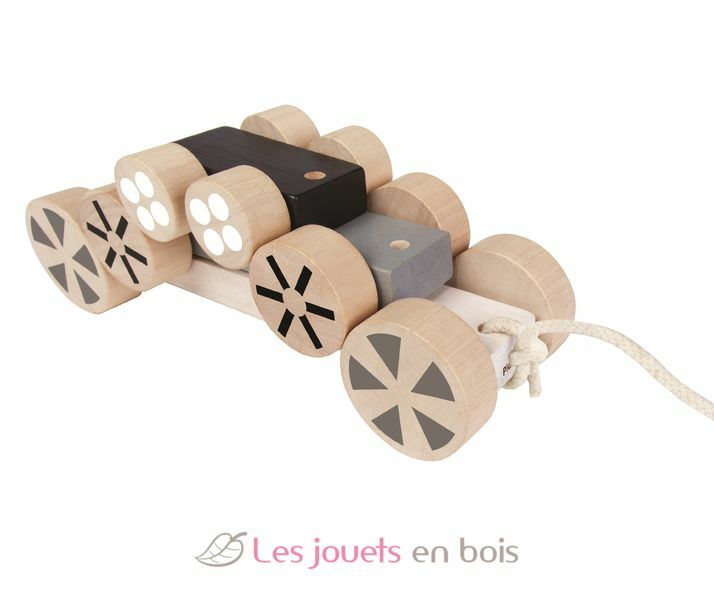 3-in-1 mobile cars, wooden cars made by Plan Toys. Item number PT5705.